I love to write. I want to write. I have many story ideas brewing and I know I need to write them down. I know that I will be a better writer the more I write. I like to exercise (I tried to use love here, but just couldn’t do it). I want to exercise. I have many thoughts about my fitter, leaner, healthier life and I know I need to get on with it. I know that it will be easier the more I do it. But, both activities seem to be pushed aside far too often. With a demanding job, a busy family, and a mild addiction to a select few television shows, writing and exercising frequently get carried over from one day’s To-Do List to the next. In the past, I’ve resorted to paying to exercise. Even gym memberships or weekly fitness classes didn’t always provide the necessary motivation though—I didn’t have to go. What did work was a personal trainer, because I did have to go to meet up with him—I was paying him $60 an hour regardless of whether I showed up. Now, I’m applying the same theory to my writing. It may seem silly to pay money just to write, but it has been working. When I commit to a workshop, I go, I write, and I keep on writing. Some workshops have had me writing pieces on the spot, from prompts, and reading those out loud to a group. A few of those pieces have been the starting point for longer works. A recent day-long lecture workshop sparked the idea for a memoir that I’m working on now. I hope that an upcoming online workshop will provide a straightforward introduction to the world of book reviews. Of course, I could just write, and learn these things on my own, just as I could go for a jog and do push-ups on my own at any time. But, when I was working out with the trainer at the gym, I gained more than just fitness. I learned what I was doing wrong, I heard about other success stories, I learned how to vary the routine, and I saw results. • Forced time to write. • A built-in audience—what motivation to know a piece of writing will be read or heard, not just sentenced to life in the In Progress folder on the laptop. • Professional and personal contacts. • Tips and lessons learned from writers who have been there. The key for me now is to heed the one piece of advice that comes out of every single writing workshop I’ve been a part of—set aside time to write every day, no matter what. If I can fit that in, along with the occasional workshop for further development, I’ll be in good shape, so to speak. A personal trainer is out of the question right now, so I guess I'd better walk or bike to my writing workshops—at least the ones that are not online. In the past, I've written how little time I've had to join a writers' critique group. Recently I read an account in the North Carolina Writers' Network newsletter about another woman's experience with joining a writing group with two other women. I had figured that I didn't need a group to support my writing, even though it's been a few years since I worked with a reader or anyone else willing to read or support my fiction writing. Putting your writing into the company of friends is wonderful; putting your writing in the hands of strangers is like jumping off a cliff with your eyes closed, hands tied and...well, I can think of several other uncomfortable comparisons. In the newsletter story, the writer tells how she met two women at a writing conference. She was asked to join with the two others to create a writers group. However, the narrator explains how once the meetings started, neither woman in her group were supportive of her writing or as her situation as a mother. Instead of finding the positive in her writing, each lead with the dismissive comments and negatives. Apparently, after that, they never moved into the positives. After a particularly difficult meeting, happily, the narrator never met with the ladies again. However, reading this account didn't make me less of a fan of writing groups. It made me more of a fan of the groups, selectively chosen. 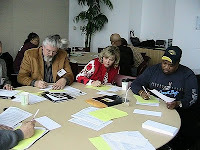 Perhaps I wasn't convinced about the writing groups because I'd never found writers--at or above my own level--to join. The folks involved need to critique in a supportive, meaningful and positive way--my writer's ego is fragile enough as it is. So, I've decided that I'm going to approach some of my writing friends to join me and build a group. Do you belong to a writers group? If so, how did you find your friends? If not, why not? A creativity coach, Elizabeth King Humphrey contributes to AOL's ParentDish and blogs at The Write Elizabeth, delving into creativity in everyday places. I recently taught a personal essay writing class for the local community college. The introductory exercise was simple: tell a two- to three-minute story about yourself and make sure your spiel has a defined beginning, middle and end. For class members, speaking about themselves was easy. They intertwined humor and insight into the quick look at one moment in their lives. But when I asked them to write the same story on a sheet of 8 1/2 x 11 ruled notebook paper, something was lost in translation. The tidbits of humor disappeared. The glaring insight suddenly lost its significance. What changed? Somewhere between the oral tradition and the written word, these students forgot to add essential elements that formulate the basis of strong storytelling. Personal essay enthusiasts will agree that stories that engage readers contain a twist of the common elements. The stories that stand out mold an individual experience and create empathy. Build conflict. Consider movies, TV shows and books that capture your attention. What recurring element piques your interest? Conflict and tension. Even a personal essay will fail if tense undertones don't keep rumbling through the piece. Who wants to read a piece about perfect love? I want to hear about the tearful breakup from your high school sweetheart and how that moment changed your impression of Cupid's arrow. Establish time. Since most personal essays must conform to a word limit, grabbing the reader's attention is mandatory. Link your theme to a current event or pop culture phenomenon. You'll be amazed at the interesting comparisons you'll be able to develop. Kick up the intensity. Avoid voicing the safe opinion. It's overdone. Instead, look at other angles about your topic. Bend the rules. Your story will be stronger. Obsess much? Choose a topic you find interesting. Select a subject you have experience with. If you haven't lived it, how can you write about it? Slam dunk the ending. Don't settle for a rehash of events. Challenge your memory and grill your brain about the realities of the situation. Question your motives. Then, you'll hold the reader in the palm of your hand, offering them a piece of your world and the lessons you discovered. A personal essay is just that: it's personal. It's a probe of the human psyche that examines questions and situations that we all want answered. The personal essayist is brave enough to report her findings. by LuAnn Schindler. Visit LuAnn's website for her weekly column of personal essays about her home state - Nebraska. 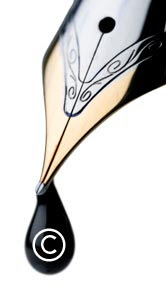 Just wanted to give you all an update on the Winter '10 Flash Fiction Contest. We sent emails to the Top 10 winners last week asking for their pics and bios. All winners (1st, 2nd, 3rd, and Honorable Mentions) will be announced with WOW's May issue, which we are working on as we speak. Stay tuned! Are You Accidentally Using Copyrighted Images? As writers, we know we should give proper attribution to the author of any excerpted or referenced text. We know that copying another writer's words without attribution is wrong, not to mention illegal, and we safeguard our blog posts by asking for permission and linking to the original article. But what about pictures found on the Web? Sometimes, adding a picture to a blog post comes as an afterthought. You spend so much time crafting your article that only when it's time to post you think, Gosh, what image can I use to go with this post? Then, in a mad dash, you do a search on Google Images and hope to find a picture that will illustrate your idea. And when you find the perfect image, you think it's okay to use because it's available online. But, the truth is, it's not. One of our freelancers alerted me to a blog post that heavily excerpted one of her articles. This post not only used most of the article's content without linking to it (around 800 words out of a 2,400-word article) but also used the header image from our article. Our freelancer was concerned because she knew I'd personally created the image (I mentioned in an e-mail, "Do you think this looks like a real photo? I hope so, because I Photoshopped it..."), so she wrote the blogger (and CC'd me) and asked if she'd obtained permission to use the image. Later on that day, I received an e-mail from the blogger asking if it was okay if she used the image. Unfortunately, I had to tell her, it wasn't. Our images are either original works of graphic art and illustration or are images we license and pay for--whether they come from stock photography or straight from the source. I was also concerned that, since she uses a Blogger-hosted blog, by taking our image, downloading it, and then uploading it to Blogger's server, that Blogger now owns the rights to that image. Needless to say, I told her to remove it immediately and delete it from Blogger's image files. I also asked her to post a link to the original article that she heavily excerpted. It should go without saying. You have to remember that artists and photographers are the same as writers. You wouldn't want someone stealing your words--that goes the same for images. Personally, I spend more time creating images for the WOW site than I do writing words. So, if you want to use an image with your blog post, make sure you ask for permission from the source. If that doesn't come through, you may want to consider purchasing an image from a site that licenses them such as istockphoto.com, gettyimages.com, shutterstock.com, etc. I know it's extra work to hunt down sources, but you're already used to doing it for words, so consider it part of your routine to do it for pictures. You'll avoid any complications down the road. Magazine fillers are short pieces ranging from 50 to 250 words that sometimes only take ten minutes to write. So they’re perfect for crazy days. Fillers are constantly in demand and life seems to provide an endless supply of ideas. The pay starts at $5 and if you make it to the ultimate market, Reader’s Digest, you can make up to $200. 1. Eavesdropping Abilities – Plenty of my fillers have been things I’ve overheard. 2. Tiny Tablet – Filler ideas are fleeting and often come to you as you’re standing in line at the grocery. Be ready! 3. List of Filler Markets – Create a current list of filler markets so you don’t have to reinvent the wheel each time you need homes for your fillers. Jokes – Chances are your kids, spouse or that funny guy who works in the cubicle down the hall will be an endless source. Funny stories – Funny stories involving your kids are always a hit. Some niche markets also want funny stories with a slant: military, religious, professional, camping, etc. Tips – Got any secret tips about parenting, running a household, traveling? News items – Watch your local newspaper for unusual events, people, and crimes. Misprints – Did the sign at your local church lose an “O” and read “Come on in and say HELL!”? Also snap a photo of funny misspellings and other mistakes—some markets will buy the photo. Weird Trivia – Baseball season once inspired me to sell a filler about baseball superstitions. Filler markets are always looking for the little known and wacky facts. Lists – Filler editors like short lists: “Three Things You Never Knew About Jellyfish”, “Four Ways to Use Lone Socks”, “Six Towns Names After Santa Claus”, etc. Start looking around you with an eye for the helpful, funny, surprising, and just plain weird. It’s fun (and profitable)! I’m approaching the homestretch for Script Frenzy, the annual event where you write a 100-page script during April. This is my first go-around with the challenge, and learning about scriptwriting and filmmaking are part of my writing goals for this year. I decided to try my hand at adapting a short story I wrote a couple of years ago into a romantic comedy screenplay, and was inspired by a critique received from an editor at a conference I attended some time ago. I generally shy away from romance as a genre, although I do like the occasional romantic comedy. I prepped for the month by filling out worksheets, reacquainting myself with my characters, getting accustomed to the scriptwriting software I’d be using, practicing some writing, figuring out a writing schedule, and visiting the forums to get acquainted with some of the other participants. April started and the race was on. Receiving emails from fellow participants and industry professionals has been a great encouragement for me, especially when I was trying to figure out where to begin writing my script. I came across a couple of articles where some writers were struggling with the same issue. One started their script at the end and worked backward, another started in the middle. For me, working out of sequence on various sections of my script has been the answer, and the writing has been coming along. Then some of my characters decided to go their own way. One of the men, Dominic, decided he didn’t like the name I gave him, so he changed it to Damien. Fortunately, I agreed with his choice. Next, my protagonist’s best friend couldn’t decide whether she wanted a dog or a man, and then dyed her hair a very strange green to celebrate Earth Day. I couldn’t help her with the man-dog decision, but I made her turn her hair back to the original color. And somehow, some killer hamsters were planning to roam the city in little gangs. Um, no, not this story. Once I cracked the whip, they all got back in line, and I’m pushing through. Recently, I did some training to be a camera operator for a project a local non-profit will be filming. For me, the process will be a great opportunity to witness the script to film process first-hand. And to continue developing my scriptwriting skills, I’m looking into taking WOW’s upcoming screenwriting course by Christina Hamlett. I’m not certain I’ll finish on the last day with those 100 pages, but the keys will keep tapping in this marathon. I pinky swore on that one. Even better, there’s a long weekend retreat waiting at the end of this endeavor, and there will be dark chocolate. Now, if you’ll excuse me, I’ve got to head back into the Frenzy. D is for Dialogue: Don't be an adverb junky when you are writing dialogue tags. When your protagonist is talking to your antagonist, she doesn't need to shout loudly or state angrily. By her words and actions, we can tell that she is not happy with his (or her) actions. Each character has his or her own voice. If you read the line of dialogue without the tag, you should be able to tell which character said it. H is for Hero: If you write romance or any novel where you have a hero, the following might be helpful to you. Bobbi shared a list of eight male archetypes: the chief, the bad boy, the best friend, the charmer, the lost soul, the professor, the swashbuckler, and the warrior. Workshop participants had a great time trying to think of popular movie and book characters to fit each type. For example, how about Indiana Jones? Is he a combination of the professor and the swashbuckler? Where would you put Edmund (the lost soul or the charmer) or Jacob (the best friend) from Twilight? O is for Opening: Bobbi said, "You've got to grab them by the heart." One of the most interesting things she talked about was how quickly you have to grab a reader and editor in today's market. She started writing in the 1980s, and she said you had 50 pages to get the story started and a reader invested. Now, you're lucky if you have 10! V is for Vision: What is the vision you have for your career? Sure, we all want to be the next Stephenie Meyer or Dan Brown; but realistically, those Cinderella stories can't happen to all of us. Bobbi said that her vision was once she was published, she would always have a book contract. She would become a full-time writer and continue to create stories for her readers. She also hoped to get her books into grocery stores and super centers like Wal-mart. And guess what? Her vision has come true. She told us to envision what we want out of our writing career and set goals to attain it. So, just from the sampling I gave you here, you can see the knowledge and inspiration I received at the Missouri Writers' Guild writing conference--and this was just on Sunday morning. If you have the chance to go to a conference near you or online--for one day or one week--save your money and go. It's one of the best things you can do for your career at any level. Next time I post on "Learning from a Writing Conference: Part Two," I plan to reveal an insider's look at pitching to agents and editors. Margo L. Dill (http://margodill.com/blog/) loves to speak at and attend writing conferences, especially those in cities where she's never been before! It's been a crazy week of challenges all around, which have distracted me more than usual. And, on this rainy day in coastal North Carolina, I glance over at my three-ring notebook, which sits patiently near my desk. My binder has now become a catalyst for my work and a revision tool. In the past week, one of my distractions has been re-entry into the revision world of my adult novel. The ideas for edits and expansions have been flying so fast and furious, I took about two days out of my regular writing work to compile drafts and notes and folders into one space. To clear out the clutter of previous empty drafts. I needed something to catch all the words my brain was firing off: blank paper in my new notebook. It's not a particularly fancy notebook, but it is a big moment for this novel. My pages love the security they are feeling, snug in this new notebook and close at hand. My novel's first round of drafts were completed in 2003. I sent out queries by the the truckload. The second round took place in 2006. Then I lost steam and didn't even feel passionate enough to query. My characters stopped speaking to me and it appeared that this would be my the novel you hear about. You know, the one that ends up tucked away in a desk drawer, lost in the darkness. But now I have renewed hope that this novel will be different and its energy will carry me through into the querying process...and beyond. Any writing projects you've put aside? What did it take to regain your energy to finish it? Are you still trying to find the energy? What is one thing you can do to continue the work? The Muffin is happy to interview Catherine E. Jones who had a winning flash fiction story, "Peace Still and Blue" in the Fall 2009 WOW! contest. 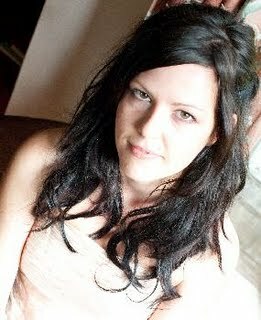 Here's a little information about Catherine: She has been creating stories ever since the first time she put pen to paper, and in 2005 made the cover of Downstate Stories with her short story, "Witches Wand." She lives in a small house made colorful and noisy by three awesome children and the love of her life. She makes her living as a firefighter/EMT and feels truly blessed not only to be employed in her chosen field but to have enough time left over to pursue her writing career. Currently, she is polishing her first novel and harboring high hopes! WOW: Catherine, thanks for talking with The Muffin readers today about your writing and flash fiction contest win. What gave you the idea for your winning story, "Peace Still and Blue?" Catherine: The idea for "Still and Blue" actually came about after a call I had been on; and while the characters are wholly fictional, the bare bones of the story were based in fact. Mostly, what we do in the EMS field brings us a lot of happiness; but occasionally, there will be a bad day that stays with you for a long time. The incongruity of that scene, with a little child present when his parent overdosed--during the holiday season!--just nagged at the back of my mind until it finally morphed into a story. WOW: It is easy to see why that kind of scene would stay with you. I like how you said it nagged at the back of your mind until it turned into a story. I think many writers have similar experiences with story ideas. What are the themes you wanted to explore in this story? Catherine: The most obvious theme in my story was, of course, one of death and sorrow; but I like to think that I salvaged it a little by peopling it with some really wonderful characters. The cop and the paramedic have played this scene on more than one occasion, but they still take the time to hold the little girl. The kiss at the end, and the desire to show the toddler the Christmas lights, impart--I hope--a strong message of hope and a belief in the basic goodness that we all have within us. WOW: Great explanation, and I think your ending does just what you wanted it to. Your beginning and your ending match--almost like a circle story. Is this a common tactic you use in your short story writing? Catherine: I like a circle story effect because it just ties the whole story together so neatly. It isn’t always possible to utilize that tool; but when it is, I find it effective. WOW: Obviously, it worked great for this story! You have a busy life--you are a mom, a wife, and a firefighter/EMT. How do you find time to write and work on your novel? Do you have a set schedule? Catherine: In my life, I have found that writing time has to just be squeezed in wherever I can fit it! I would love to have a schedule set in stone that allowed me the same time, every day, to write. At least, I think I would. Actually, I can’t imagine that! At any rate, writing time for me does occasionally fit in with my job schedule since there is a lot of down time at both of the stations where I work. Down time belongs to us and we are free--within reason!--to do what we like. I am in love with my lap top--I always have it with me! Another good time to write is in the middle of the night since I am a horrible, horrible insomniac; but as a rule, I usually have to revamp that work the next day. Writing in your sleep is not always good! WOW: So true, although some of the best brainstorming is done in our sleep! What can you tell us about your novel? Are you exploring some of the same themes you do in your flash fiction? Catherine: Oh, my novel! I can go on forever… Actually the protagonists in "Still and Blue" came flesh and blood from my novel. I struggle a lot with short stories; and one tool that I like to use to help myself is to work with characters that already exist in my mind. So John and Nic have been real and complete in my mind for a very long time. I do explore a lot of the same themes as I did in flash fiction probably because these are themes that I see a lot. I think it's fun to point out that life is not always as it appears to be on the surface; the good guys hardly ever wear the white hat. So, my good guys occasionally drink too much or use atrocious language, and they’re not always all that strong--they have horrific nightmares. And my bad guys are people you could fall in love with; but I do feel that life is really that way. At any rate, I am done with my novel! It is called Sowing Blind Faith, and I am querying agents like a mad woman! WOW: Good luck in your agent search! So, let's wrap it up with one last question related to the contest. Why do you like to enter contests? Catherine: I think contests are invaluable just for the impact of impartial feedback. Until you get your feet wet, everything you write is read by somebody who loves you and doesn’t want to hurt your feelings. A contest gives you chance to have your work read by someone who is not quite so invested in your personal happiness. WOW: Thanks, Catherine, for sharing some insight into your writing world. Good luck to you with all your future writing projects and dreams! Cindy Hudson, author of Book by Book: The Complete Guide to Creating Mother-Daughter Book Clubs, launches her blog tour! Cindy Hudson grew up in Brusly, Louisiana, where she nourished her early love of reading while wandering the cubbyhole rooms of her local library, a converted Victorian mansion. Wandering the aisles of bookstores and libraries are still two of her favorite things, and if she can do that with her husband and daughters she's even happier. Hudson writes from home in Portland, Oregon. Mothers and daughters share a special bond...why not further this bond through reading together? Book clubs have been growing in popularity over the past ten years, started by a variety of people with various interests and goals. Mother-daughter book clubs offer a great way for families to grow and share--with each other and with other mother-daughter pairs. In Book by Book Cindy Hudson offers all the how-to tips mothers need to start their own successful book clubs. Hudson offers her own firsthand experience as the founder of two long-running successful mother-daughter book clubs. Hudson offers suggestions on book topics, club guidelines, and how to keep the club going as daughters grow older. How big should the club be? Whom should we invite? How often should we meet? How do we make sure we actually read the books? Hudson has all the answers. With recommended book lists (divided by four age groups), online resources, and suggested recipes for book-club retreats, Book by Book is a great resource for helping moms and daughters form new memories and traditions. If you received our Events Newsletter, remember, we are holding a contest to win a copy of Cindy Hudson's book Book by Book: The Complete Guide to Creating Mother-Daughter Book Clubs to those that comment. So, grab a cup of coffee, pull up a chair, and enjoy the chat, and share your thoughts, and comments, at the end. We will randomly choose a winner from those who comment. WOW: Welcome, Cindy! We're thrilled to be chatting with you today. When did you first start your book clubs with your daughters? Cindy: I started a mother-daughter book club with each of my daughters when they were nine and in fourth grade. With Madeleine, who is now 18, that was in 2001, and Catherine, who is 15, that was in 2004. The girls in Madeleine's group all started college this year, and while that means we don't meet on a regular basis, we do still get together on holiday breaks. And four of us were lucky enough to have a great mother-daughter weekend in Eugene, Oregon, where the girls are attending the University of Oregon. Catherine's group still meets regularly, and I expect we will until the girls finish high school in 2-1/2 years. WOW: What made you start the Mother-Daughter Book Club Website? Cindy: I created the Mother-Daughter Book Club website to provide the kind of resources I was looking for but couldn't find in one place on the Web. I wanted to feature books that both moms and girls would enjoy reading and group them by age groups they were appropriate for. I added author interviews and other sites to find book recommendations too. The really nice thing was that I started to get emails from moms in book clubs almost right away. They had a lot of questions about how to start their groups, choose the books and lots of other issues. It was about six months into having the website up and running that I realized writing a guidebook would be a good idea. WOW: So the perfect book idea was right there under your nose! Can you tell us a little about your book from the first idea through finding an agent, finding a publisher, writing the book? Cindy: From idea to publication took just over two years. Much of the first year I worked on building my platform. I worked on the website and wrote a blog, then introduced a newsletter when I had enough readers. I created a proposal, then pitched the concept to an editor and an agent at a writing conference. But even though the editor was interested, she didn't believe I had a strong enough platform. So I went back to work. Several months later I queried quite a few agents with my new, stronger proposal, and I had a few offer to represent me. My agent was able to find an interested publisher within a month, and I was given a little more than six months to finish writing the book after the contract was signed. WOW: So you are living breathing proof that a strong author's platform really does make a difference! Besides having your online presence, what else did you do to establish yourself as a "book club expert"? Cindy: My author's platform definitely made a difference. In addition to having my website and blog, I wrote an article on mother-daughter book clubs that was published in a national magazine. I was also interviewed as the mother-daughter book club expert for a story in a large metropolitan daily newspaper and in other national magazines. I have a background in marketing and public relations, and I think that probably helped too, as it said to agents and publishers I would be active in promoting my book. WOW: As a person with one book under their belt AND a background in marketing--any advice for writers with ideas for nonfiction books? Cindy: I think you have to answer three questions: Why should this book be written? Why is now a good time to write it? Why are you the best person to write it? By answering those questions you establish the market of who will buy your book and establish yourself as the writer. You also may want to get someone else's advice when writing about your own credentials. I find a lot of writers are too modest to adequately sell themselves as experts, and having someone else help you craft a way to sing your praises is invaluable. WOW: Will you be developing a Book by Book for boys? Cindy: I pitched this as a single book. With nonfiction at least, I didn't find it was important to have another idea ready for agents and publishers. I don't have any plans to develop a Book by Book for boys, but I am adding resources to my website that will help moms find books their boys may want to read. WOW: Tell us what you're working on next. Cindy: I'm very happily writing about mother-daughter book clubs whenever I can, and I'm working on an idea for another book about mothers and daughters, but I'm still mulling the possibilities over for now. WOW: And finally...what was the favorite book you read with your daughters? Cindy: That's a tough one. There have been so many great books we've read together. But if I have to pick just one, it would be Boy: Tales of Childhood by Roald Dahl. It's a memoir of Dahl's early life, and it's both fascinating and funny. It's easy to see where he got inspiration for some of the wacky characters in his novels. My daughters have very different tastes in books--one likes historical fiction and the other is more into fantasy and nonfiction. But they both loved this book, and so did my husband. We read Boy together as a family, we read it in each of our book clubs, and the girls have read it on their own too. WOW: I'll have to check that one out! It sounds great. But first, I need to pick up a copy of Book by Book to learn how to start a mother-daughter book club. Thank you so much, Cindy, for taking time to chat with us today. Your tour is going to be fantastic! Want to join Cindy on her blog tour? Check out these dates and mark your calendar! You can also snag a copy of WOW's Events Calendar HERE. Cindy will be chatting with WOW! Women On Writing at The Muffin. Stop by and share your comments! One lucky commenter will win copy of Cindy's book! What is your passion? And how can it help your writing? Today, author Cindy Hudson shares her thoughts on using your passion to fuel your writing. Readers also have a chance to win a copy of her book Book by Book: The Complete Guide to Creating Mother-Daughter Book Clubs! Thinking of starting your own book club but don't know where to begin? Then stop by Ramblings of a Texas Housewife for a visit from Cindy Hudson and her recommendations of Ten Book Club Favorites! Don't miss the review and giveaway of Cindy Hudson's Book by Book: The Complete Guide to Creating Mother-Daughter Book Clubs. Stop by Selling Books for a fun interview with Cindy Hudson, author of Book by Book: The Complete Guide to Creating Mother-Daughter Book Clubs. 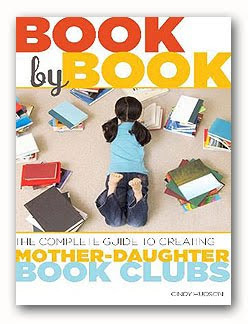 Today Margo brings readers the ultimate book for adults and children to share--Cindy Hudson's Book by Book: The Complete Guide to Creating Mother-Daughter Book Clubs. You also have the chance to win your own copy of Book by Book! What's the magical key to being a good writer? Could it be hidden in those books jamming your bookshelves? 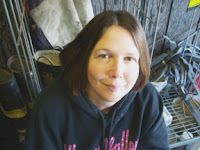 Cindy Hudson stops by Beth Morrissey's blog to tell us how good readers can make good writers. Cindy Hudson stops by Mom-e-Centric to share how she makes time for herself during her busy life and how other moms can too! Want something special to do with the women in your life this Mother's Day? How about a book club? Don't miss an interview with Cindy Hudson today at Finders & Keepers, Cathy C. Hall's blog. Cindy Hudson, author of Book by Book, is our favorite queen of book clubs. Who knows better how authors can connect with readers through book club visits? Stop by The Urban Muse for some helpful advice! Attention all you daily bloggers! Cindy Hudson, author of Book by Book: The Complete Guide to Creating Mother-Daughter Book Clubs, stops by Whole Latte Life today to write about how identifying your passions can help to sustain your writing. She's also offering a chance to win her book--the perfect Mother's Day gift! As a writer do you learn from the school of life? Yes, but it doesn't hurt to take a few classes. Cindy Hudson writes about how writing classes can help you hone your craft. There's also a contest to win a copy of her book! Stop by for a review and a chance to win Cindy Hudson's book Book by Book: The Complete Guide to Creating Mother-Daughter Book Clubs. She'll also be back later in the week to contribute to the 5 Minutes for Books column, "On Reading." What is your family's passion? The environment, sports, religion, travel? No matter what your passion there's an opportunity for family volunteering that matches it. Learn about family volunteering from Cindy Hudson. You also have a chance to win a copy of Cindy's book! Stop by for an educational interview about writing with Cindy Hudson. And don't miss your chance to win a copy of her book! Don't miss Cindy Hudson, author of Book by Book: The Complete Guide to Creating Mother-Daughter Book Clubs, at Write for a Reader today sharing how books have touched her life. Stop by for a review of Cindy Hudson's Book by Book: The Complete Guide to Creating Mother-Daughter Book Clubs and your last chance to win a copy! And be sure to comment on this post to enter in a drawing for a copy of Cindy Hudson's Book by Book: The Complete Guide to Creating Mother-Daughter Book Clubs! And check back in a couple of days in the comments section to see if you won! The longer, brighter, warmer days of spring encourage people to un-snuggle and move. Doors and windows fling open across the country to let in the fresh air and sunshine. As spring-lovers look around their homes, the first thing they spot is the shiny particles floating through their house. Next, they see the cobwebs in the corners and the layer of dust on every surface. Spring is the time to get out the bandanna, the feather duster, and the MP3 player. Some people tackle the easiest room to clean first and others tackle the hardest. Choose a direction and start cleaning, but remember eventually, the office will still need cleaning. Remove anything that is not office related, or if it must stay in the office, find a permanent place for it. De-clutter by throwing away anything that is not essential for day-to-day operation. Decide what things to put away for later use. The most used items need to be close at hand. Clear a lot of open space on your desk or work area. You will feel more like working. If possible, brighten the office with a new coat of paint. The addition of shelves or bookcases makes organizing easier. A large two-door cabinet conceals many supplies. Extra filing cabinets hold a lot of paper goods and make nice flat surfaces for in-boxes and office gadgets. Add some new products to bring a little cheer during the de-cluttering process. Check out these pretty and planet-friendly items I found! Bamboo Office Chair Mats: the chair and desk above use recycled materials. All of these items can be found at Eco Approved SustainABlog.com. File folder, staplers and other office products from recycled materials. Clean from top to bottom, left to right--dusting, wiping and sorting one area at a time. Go around the walls and then progress to the center. Freshen carpets with spray or powder freshner. If the area is very dirty, use a carpet shampooer. Barbara Ling says, "A clean desk is a sign of...a cluttered desk drawer." Don't do that. Don't hide your clutter. A brighter, cleaner office makes for better, happier productivity, which means better writing! Want to give your home office a makeover? 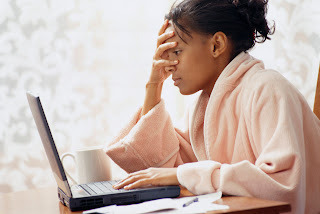 When I began freelancing, many publications didn't accept e-mail submissions. I kept ample postage and 9x12 envelopes in my supply closet, so I could send a query as soon as the idea printed on the heavy bond, cream-colored paper that contained the prerequisite watermark. Then it was the wait-and-see game to see if my query landed in the hands of the editor or if it was held up in the filter, a.k.a. 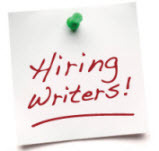 secretary or editorial assistant. How times have - and haven't - changed in just 15 years! Typically, editors prefer to receive a query via e-mail instead of snail mail. Still, writers play a waiting game. How can writers be certain the query lands in the editor's inbox and isn't being directed to the cyber highway's slush pile - the spam filter? Every ISP has its own prescribed rules or filtering software; however, by following the general tips about e-mail subject lines listed below, your query can avoid ending up in technological black hole. Check and double check spelling. Take a peek at the messages in your filtered mail folder. Many contain misspelled words. 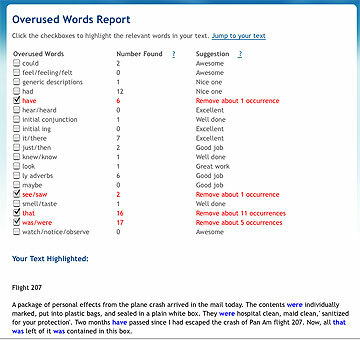 Verify the correct spelling of any words in your subject title. Not only will it help your message avoid the filter, attention to spelling and detail shows your professionalism. Ditch subject lines typed in "all caps." All caps signals yelling, and netiquette warns against it. My personal exception to the rule is that I do type the word "QUERY" in this manner and type the rest of the subject line in regular type, capitalizing only where necessary. Limit punctuation use. 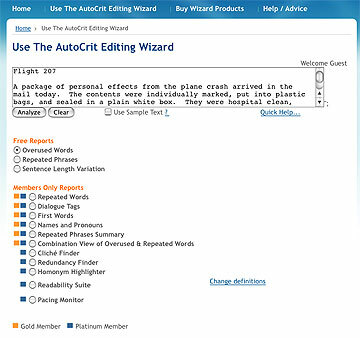 Filtering software keys on strange - and even misused - punctuation. I checked my filtered file. The majority of the messages included exclamation points in all the wrong places. Shy away from filter-triggering words. Think about words you use in the subject line. Certain words, especially those with a double connotation, trigger filters. Once you hit the send button, you still may play the waiting game. Keep in mind query guidelines, and if you don't hear from an editor, you may want to send a follow-up e-mail verifying your query has been received. Keep the subject line of a query straightforward and avoid being trapped. 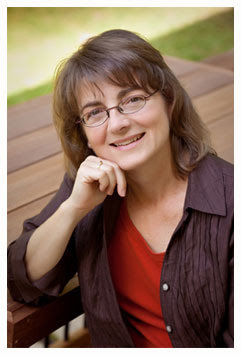 LuAnn Schindler is a freelance writer and editor; visit her website at http://luannschindler.com. My love for books and libraries runs deep, and I concur with Argentine philosopher Jorge Luis Borges, who said, "I have always imagined that Paradise will be a kind of library." Here on the earthly plane, we have many wonderful librarians to help us use and enjoy our libraries. They are celebrated and explained in Marilyn Johnson’s This Book Is Overdue! How Librarians and Cybrarians Can save Us All (c 2010 Harper Collins Publishers). Johnson addresses some typical questions, including whether librarians are becoming obsolete in the age of Google. Her answer is a resounding “no” and she argues that the work librarians do is needed more than ever. Readers take various trips with Johnson as she explores the world of librarians and cybrarians, and we soon agree with her assessment. Librarian stereotypes are also debunked in the book, with nary a humorless shusher found during Johnson’s travels. 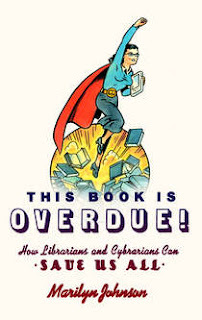 Hilarious librarian blogs, social clubs, and a great ALA conference skit illustrate what many librarians are really like. They seem to be a fun group. Other chapters portray librarians as heroes, defending our rights of free access to information and of privacy in our choices. We also learn about archivists, who work to preserve information, often creating digital archives of things worth saving. Johnson shows us how librarians wear many hats, some of which are described as: “information professionals, teachers, police, community organizers, computer technicians, historians, confidantes, clerks, social workers, storytellers,” and more. The final chapter highlights the opening of a new public library in Darien, Connecticut—an example of what a library can be for its community and beyond. This amazing library offers local patrons classes such as BlackBerry Boot Camp, the ability to check out laptops, GPS devices, and Kindles, and access to the Wall Street Journal online. The library’s web site offers podcast interviews with authors, staff written reviews, and other services available to both patrons and visitors. The librarians there are also happy to help anyone, from anywhere, using their Ask a Librarian instant-messaging service. In conclusion, This Book Is Overdue! 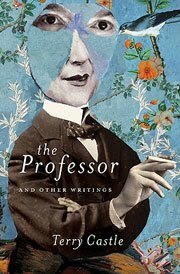 is a fascinating read, especially for writers, who are usually frequent library users. It’s full of stories about interesting people and places, and entertainingly illustrates the importance of and great need for librarians and libraries. It certainly left me with an even greater appreciation for what we have available in our country, and the individuals who make it work. We've successfully migrated The Muffin to a Blogger-hosted blog and created a subdomain on our server. The new address is http://muffin.wow-womenonwriting.com/. The migration went pretty smoothly, except we're still having a problem with updating our feed through Feedburner. So if you subscribe to our feed and receive posts by e-mail, you probably aren't receiving them! We're working to resolve this issue. We're also working on transferring this blog to a Wordpress blog hosted on our site. If you've done this before and have any advice, links, or tips on how to make this transition, we'd love to hear them! We received this announcement from Ann Imig, a WOW! Flash Fiction Contest Winner, about a fabulous event she's putting on in celebration of Mother's Day. If you're in the Madison, Wisconsin area, this sounds like a fun-filled afternoon of storytelling! Native Madisonian, UW Theater alum, and Stay-at-home-humorist Ann Imig is directing and producing an afternoon of readings by Madison writers on motherhood: The beauty, the beast, and the barely-rested. A portion of the proceeds will benefit The Road Home, serving Madison's homeless families with children. For more information about LISTEN TO YOUR MOTHER contact Ann Imig annimig[at]yahoo[dot]com and visit the website www.listentoyourmothershow.blogspot.com. This blog is now located at http://muffin.wow-womenonwriting.com/. Look on the internet and you will find a million different sites talking about ‘how to draw’, but how many of them discuss the all important question of why to draw? The same goes for writing. I found myself asking this question today, right before I was about to embark on a commission for four large drawings. 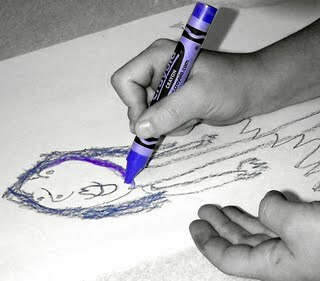 I found a few vague answers, such as “We draw to express our creativity and expose it to the world”. But today these answers didn't really satisfy. What is your creativity, why do you want to expose it, and why does the world need to be exposed to it? What does it ultimately achieve? Is this just a stock phrase that merely sounds like it could be answering the question, or is it the truth of why to draw? In our present times we have access to people’s talents, skills, stories and creations in the billions over the internet. We are literally swamped with exceptional and puzzling works of the mind, and not always in a good way. Can your work really contribute anything meaningful? Is the reason to create really ‘to add something to the world’? Or is it to feel like your existence is necessary? It's a hard pill to swallow when you consider that the world would be okay if you weren't here, that literature would still be great and that art would continue to shock and delight. Films would still be moving and extraordinary, food would still be delicious, music would still sound wonderful, the earth would still spin. So is it important that you draw, or write? For me, today, the truth was no. Is it essential for our already overwhelming culture? So why do it? It's the same question as why bother existing. We exist because we exist. Existence is not necessary but it's a gift. To be able to be here and taste delicious food, and read wonderful books, and watch breathtaking films and have complicated relationships is a one-hundred percent bonus. 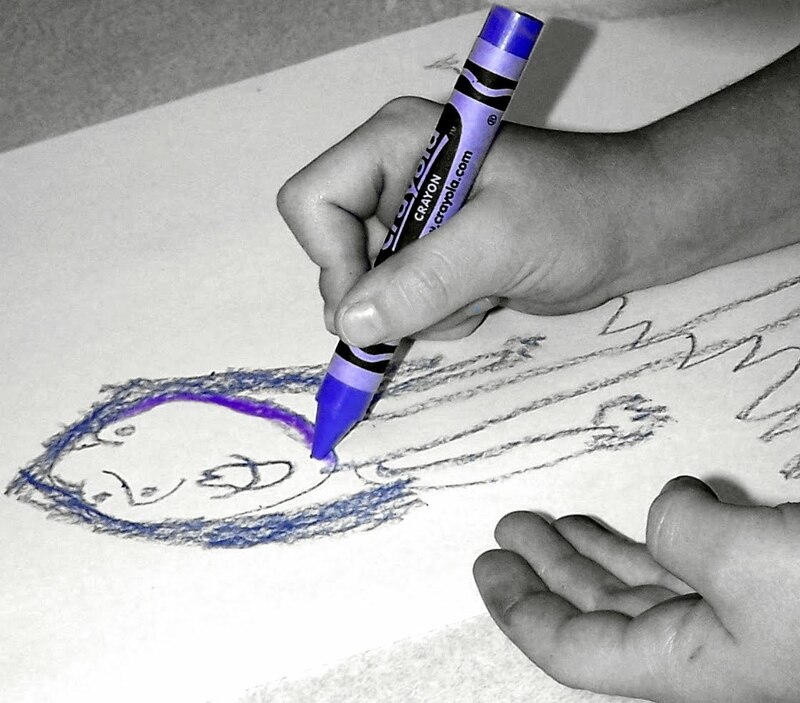 Why draw or write? It is part of the gift. You do it because you can, because you're here and you have thoughts and opinions and were born into this tiny slither of time and place that nobody else was. And for some reason you fell into it; it happened, like when a flash of colour catches your eye. So when you sit down to do that very important piece of writing today, or that ‘essential’ work of art, remember why you’re doing it. I mean, why you're really doing it. Perhaps it’s because when you were a child you had an idea, and you decided to put it on paper because it seemed fun and natural, not because you were driven by adult fantasies of self-importance. It is a gift. All you need to do is relish it. Photograph courtesy of D. Sharon Pruitt. Amy O'Neil has a BA in Fine Art from Chelsea College of Art and Design, which she completed in 2007. Since then she has been taking private commissions for drawings from photographs, but has found her interests have turned more towards short fiction writing. Her stories have been placed in several small competitions, as well as being recently short-listed for the Fish Short Story Prize. You can contact her at amygraceATgooglemailDOTcom.